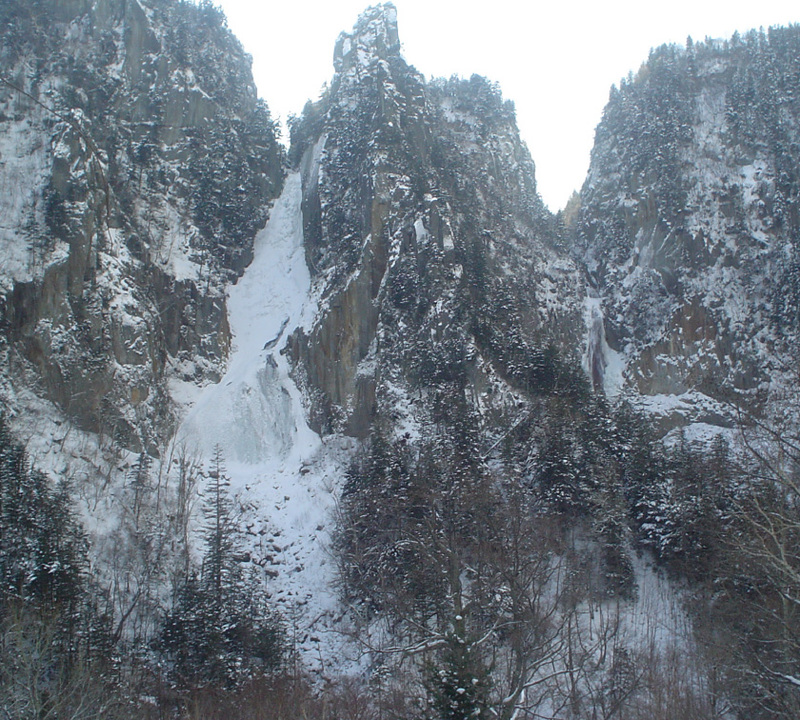 Sōunkyō, a large gorge which is surrounded by the Daisetsuzan mountain range is called "Souunbetsu" in the Ainu language. Steep cliffs with columnar joints run along the Ishikari River, with many waterfalls flowing down the cliffs. ※ YAMA NO Aquarium (inside Michi-no-Eki Onneyu Onsen) will be closed from December 26 to January 1. Vegetable fields with potatoes, wheat, beans and other plants stretch out row after row on mildly hilly terrain, creating a relaxing and beautiful rural landscape. As the scenery changes from season to season and hour to hour, visiting the view spot will make you want to come back over and over. 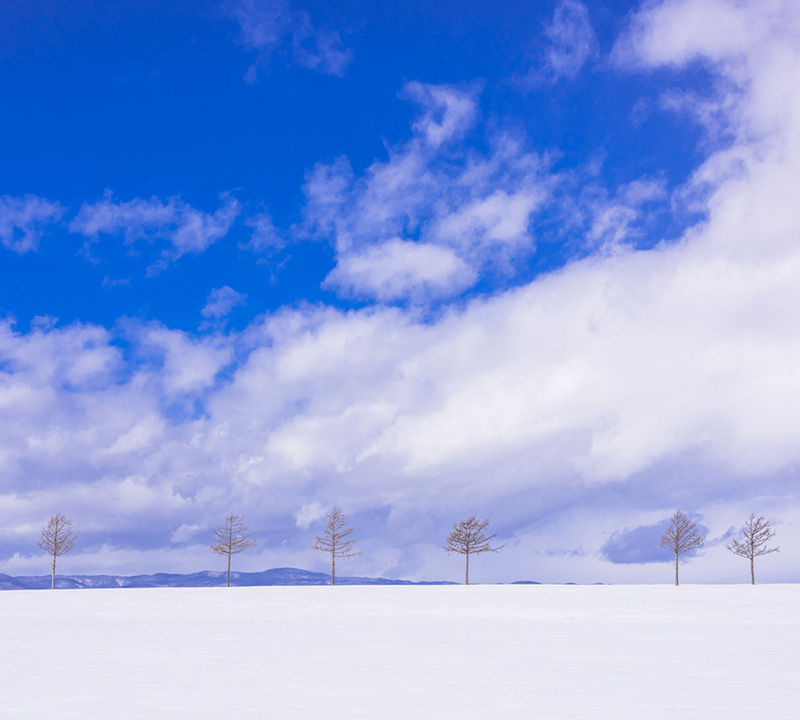 ※The visit to the hill will be omitted when snow is not removed off the road. Located at the mouth of the Abashiri River crowded by seagulls and fishing boats, this Michi-no-Eki (roadside station) overviews the Sea of Okhotsk and Shiretoko Peninsula. It sells locally harvested agricultural and marine products. Have you ever touched an ice floe? Or tried spinning a damp towel in subzero temperatures? 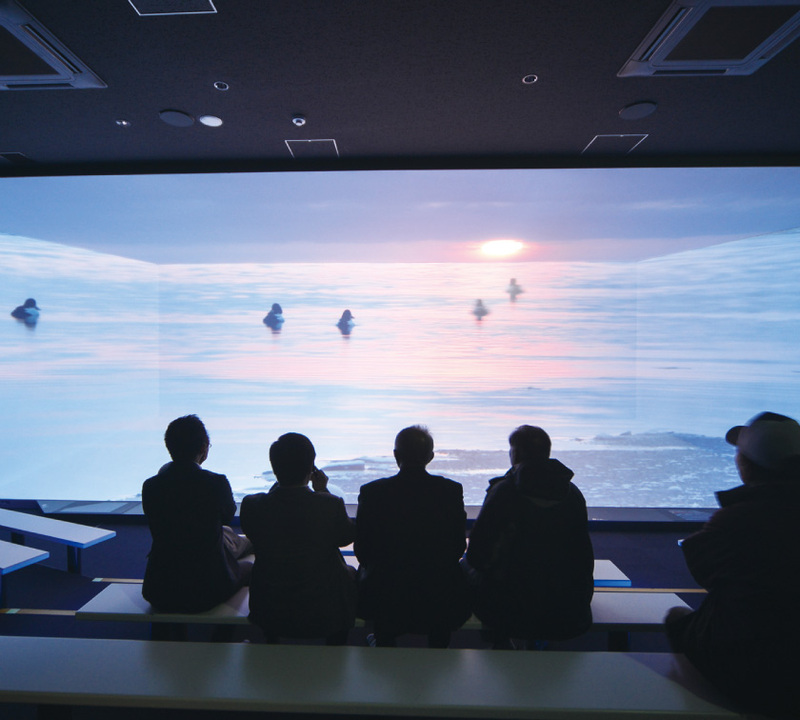 At the Ryu-hyo (Drift Ice) Museum, visitors can try these and other arctic experiences, even in the middle of summer. The facility is located at the peak of Mt. 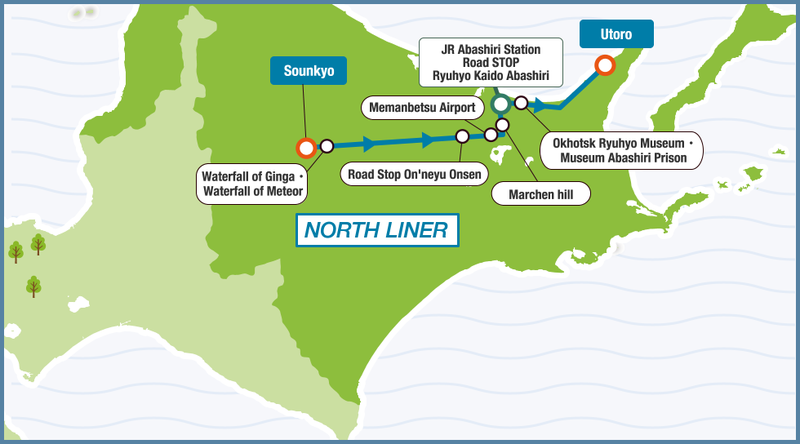 Tento, about 10 minutes drive from JR Abashiri Station. The Hands-On Drift Ice Terrace is kept at -15 degrees Celsius, and contains actual drift ice. 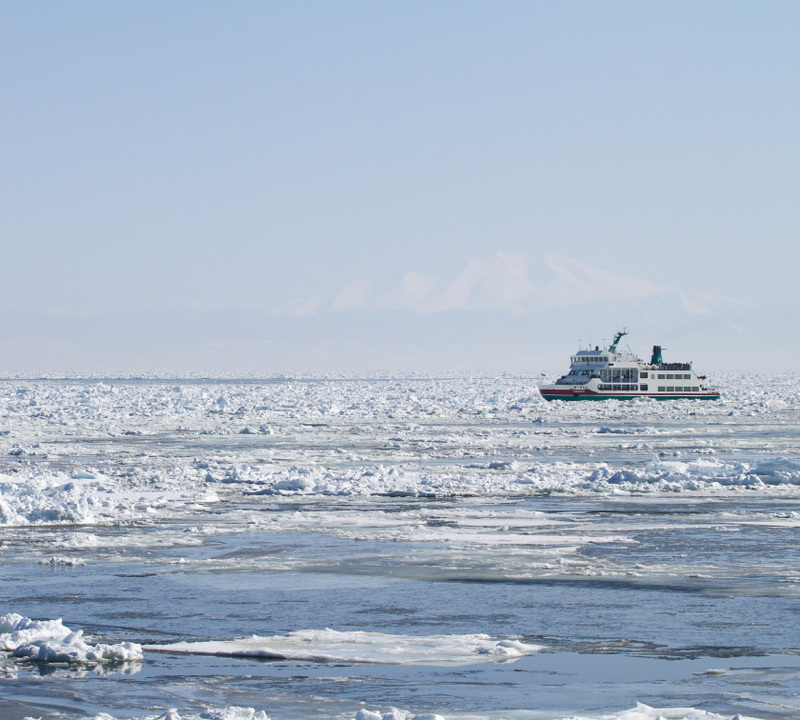 Visitors can touch the drift ice firsthand, or try spinning a damp towel until it freezes solid. You can also meet creatures from the Okhotsk Sea, such as the clione sea angel. The observation terrace provides a breathtaking panorama. 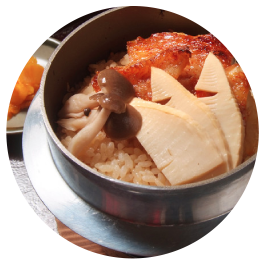 ※ The bus will stop at the museum only from December 24 to January 19. Japan's only prison museum. Set over an expansive ground, this facility preserves and displays the prison complex buildings of Abashiri Prison, which was in service since the Meiji Period. Perhaps most impressive is the five-winged radial prison house of five buildings fanned out from a central watch tower. A registered tangible cultural heritage of Japan, this structure is also the oldest wooden prison building in the world. These historical buildings are populated by mannequin inmates so realistic you can almost hear them breathe. 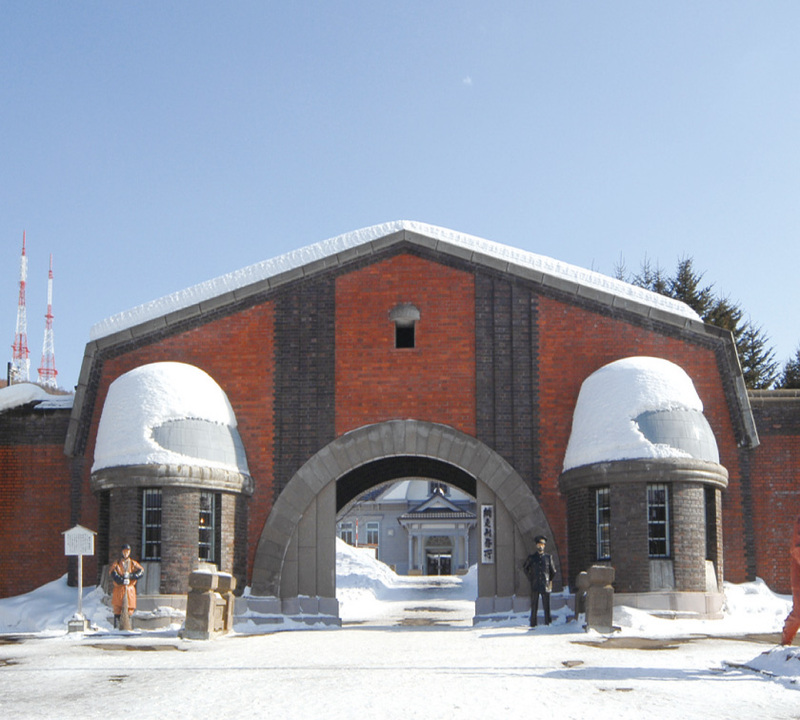 Step inside the Museum Abashiri Prison and take a trip back in time. 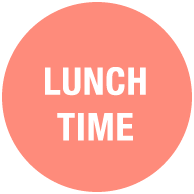 The cafeteria even serves meals based on the actual recipes served to prisoners. 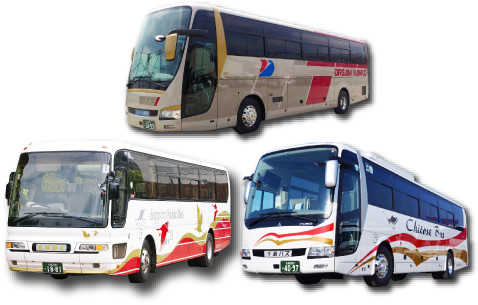 ※ The bus will stop at the museum only from December 24 to January 19. To be held for the first time in 2017, this new event will let you fully enjoy the night in Shiretoko during the winter. 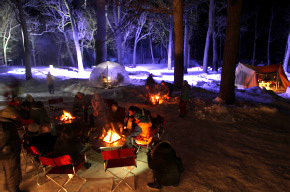 In addition to the light-up of the sea with drift ice and the Oronkoiwa Rock, the forest of the high-altitude campsite, where the festival is to take place, will also be lit up, wrapping the snow-covered forest in a dreamy atmosphere.